Your data is always secure with MoreApp. Want to know how? 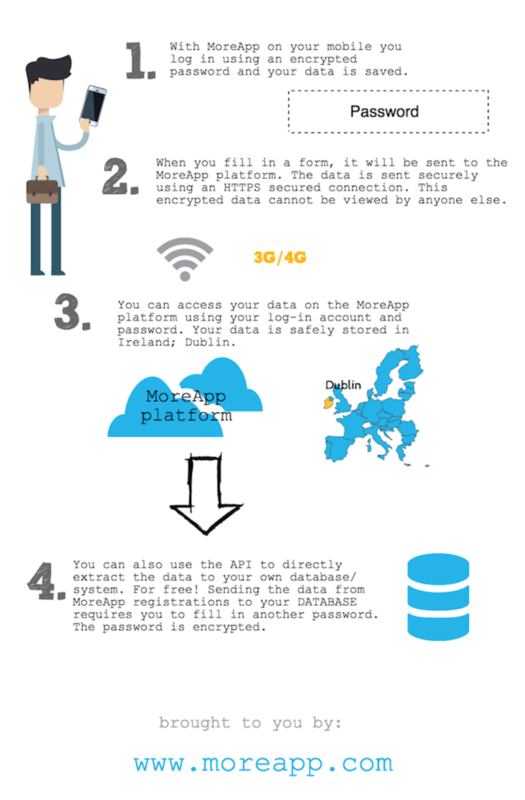 MoreApp's data security can be explained in four easy steps. Convert your paper forms into digital forms to save time and money. With MoreApp your data is always secured. Try MoreApp for free!